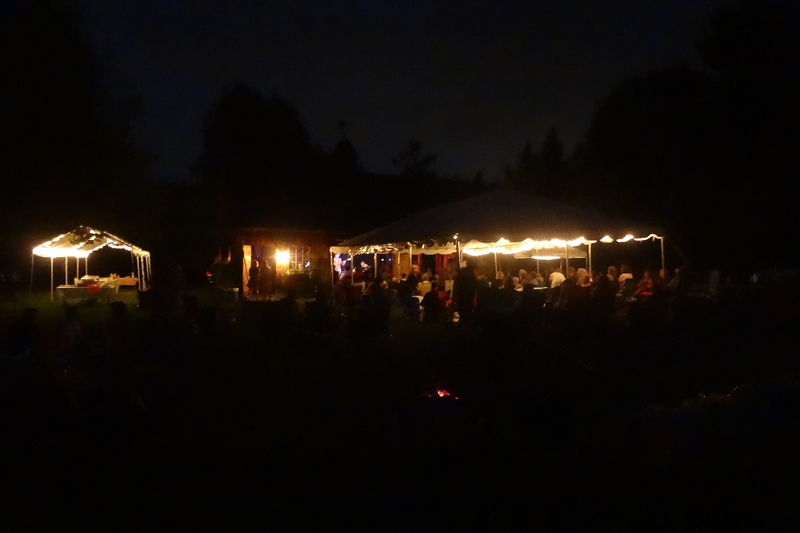 One of my favorite house concert venues, Front Street Concerts is a popular place to catch great music in a backyard setting out here in the outer suburbs of Boston. The timing for this evening’s concert was pretty good, a cooler night than most we’ve experience the last couple weeks, and quite comfortable by the time the concert was in full swing. 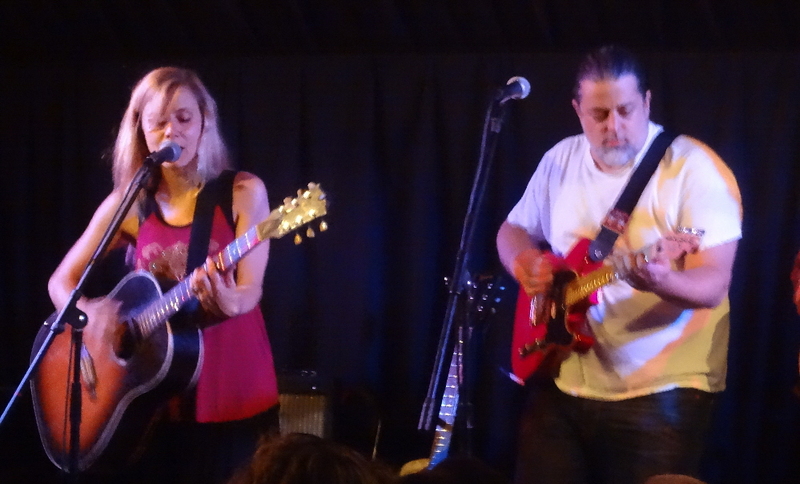 Tonight’s gig featured Metro Boston’s not-so-hidden gem Danielle Miraglia and her band the Glory Junkies with her husband, Boston music scene veteran extraordinaire Tom Bianchi, serving as her opening act. This was my first time catching one of Tom’s sets, and it was the fun experience I was told to expect. Tom was tuneful and delivered nearly as broad a mix of acoustic folk-rock as possible within a short set that mixed legitimate acoutic guitar (and electric bass) chops and fun between-song banter into a folky froth. Indeed, the set was mostly acoustic but occasionally featured his electric bass. 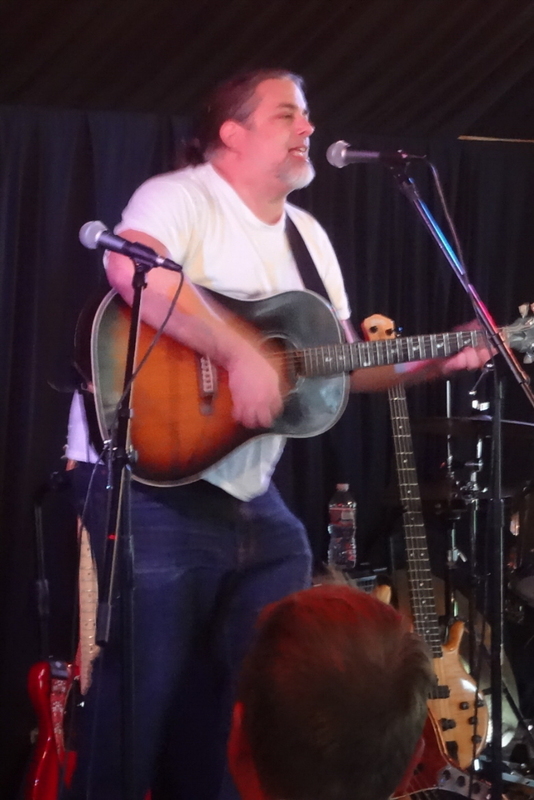 Tom opened with a self-described new song, “My Old Friend,” which featured acoustic guitar strumming, Tom’s engaging, bit-of-a-growl vocal style, and his big, welcoming personality. It’s obvious from even this short set why Tom is such a popular local performer. His performance comes across a bit like organized chaos… a guaranteed fun night out! 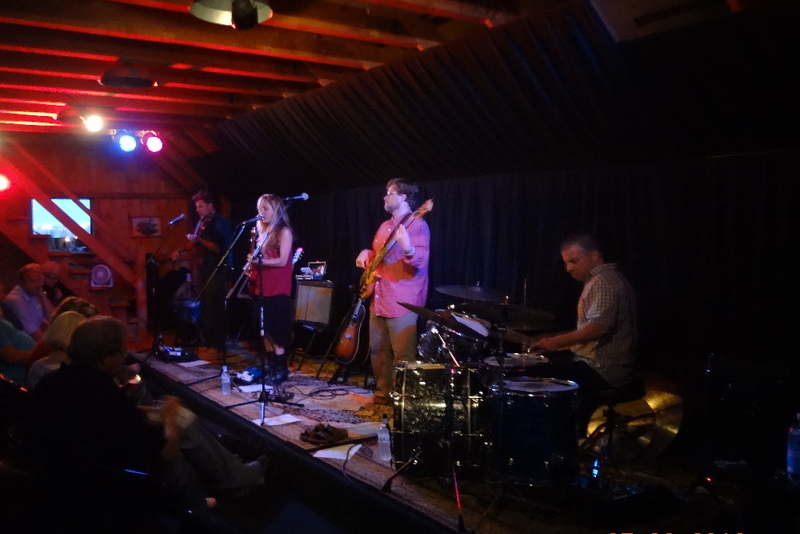 Danielle Miraglia was the headliner tonight with her band, the Glory Junkies – Laurence Scudder (viola), Jim Larkin (bass), and Chris Anzalone (drums). Favorites around the Boston area and up and down the east coast, Danielle and her band packed the house – OK, the barn and the yard – at Front Street Concerts. I reviewed Danielle’s February gig at Atwood’s Tavern, and I’m not sure I’ll ever write a better description of her blue-chip band’s rockin’ blues style than I did in that review; suffice it to say, Danielle Miraglia and the Glory Junkies again delivered a performance of folk-influenced, rock-inspired, subgenre-crossing blues, all with a sly, sarcastic, fun, and sometimes heartfelt edge. 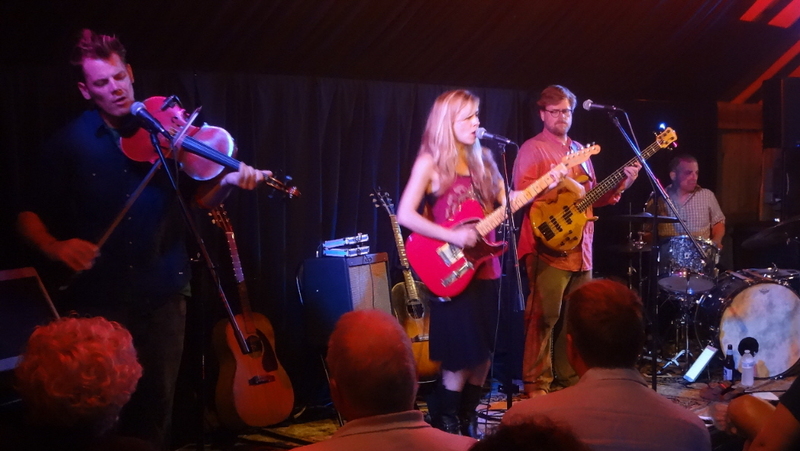 The band’s leader and her partners-in-crime seem to always be at the top of their games; this gig was no exception. The band kicked things off by getting the crowd fully engaged with “See the Light” from Danielle’s Box of Troubles album, followed by the rollocking “Fair Warning” from her latest release, Glory Junkies. Popular culture-inspired “Famous for Nothing” followed, as did Danielle’s amazing ability to channel Janis Joplin in an inspired Joplin cover. Here, as elsewhere, Scudder’s inspired viola work stood out. A few songs later, Danielle ditched the band for three songs and went acoustic, reaching back three albums for “Snow Globe” and following it with a new song (“Silence Was Your Weapon”? ), both quite sensitive songs that spoke to the audience. The highlight of the acoustic trifecta for me, though, was Danielle’s new “empowerment” song, a tune I’d never heard before, “Aim Low.” Instant classic. Like a musical demotivational poster. The return of the band featured Danielle growling along with some well-placed viola on “Don’t Pray For Me,” followed by “Stagger Lee,” an energetic number that always brings to my mind an image of a railroad train chugging full-speed down the tracks. The set closed with Tom Bianchi joining the band for its final three songs, closing with a rendition of Tom Waits’ “3:19” that, a Danielle Miraglia concert staple that she truly makes her own. 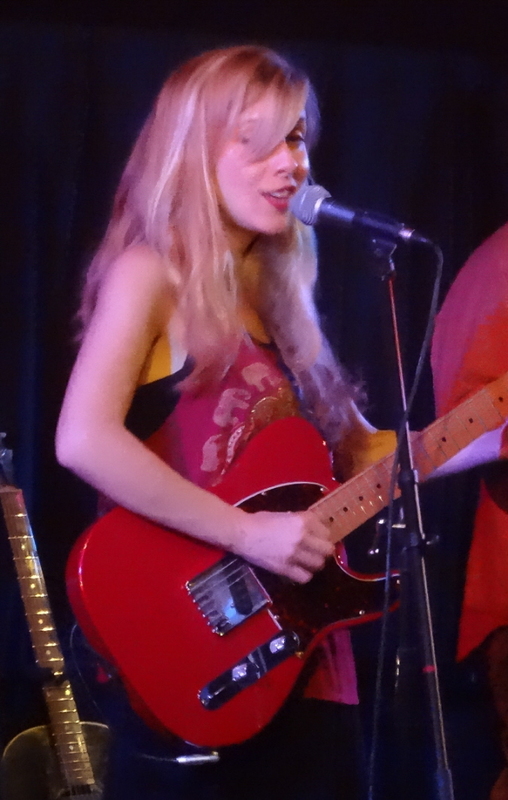 The evening ended with one of my favorite Danielle Miraglia tunes, a rafter-shaking performance of “Choir.” And, of course, the evening ended too soon. The “shows” page on Danielle’s website lists her next gig as Friday, August 5th at Atwood’s Tavern opening for the Tim Gearan Band. Other upcoming scheduled shows include the Kingsville Folk Festival in Kingsville, Ontario on Saturday, August 13th; Saturday, September 3rd at One Longfellow Square in Portland, Maine, opening for The Mystix; Friday, September 16th at the Burlap and Bean in Newtown Square, PA with Beacoup Blue; a Saturday, September 17th house concert in Reston, VA; Saturday, September 18th at World Cafe Live at the Queen in Wilmington, DE with Kyle Swartzwelder; and Saturday, October 1 at Old Sloop Coffeehouse in Rockport, MA with Jon Shain. Tom’s performances page lists his weekly local Somerville/Cambridge residencies: Thursday nights with the Baker Thomas Band at Toad; Sunday nights as host, emcee, and performer at the Burren Backroom Acoustic Music Series; and Monday nights as host and emcee of the Lizard Lounge Open Mic Challenge. Front Street Concerts has one upcoming concert currently scheduled: Florent Dufour on Saturday, September, 10th. This entry was posted in Live Reviews and tagged Danielle Miraglia, Geoff Wilbur, Geoff's Night Out, Live Review, Tom Bianchi. Bookmark the permalink.